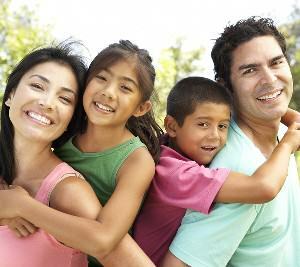 The Healthy Families Pasco-Hernando team strives to meet the needs of the families they serve on a day to day basis. They are flexible in their schedules as to make visits convenient for families. Our Family Assessment Workers strive to educate the families about what our program is and how it can be a benefit to the family. They also connect with community resources such as hospitals, pregnancy centers, doctor’s offices, etc. in order to make sure no family in need is left not knowing about the Healthy Families program. For those families who qualify for the program and agree to participate, the Resource Mom’s will provide home visiting in order to educate families on child development and safety, encourage family interaction, and connect to community resources, all based on the needs of the particular family. For those families in crisis, a Family Specialist may be assigned to assist the family through additional therapeutic support. These free and voluntary services are provided by a unique and exceptional group of individuals that aim to provide the best services possible to Pasco and Hernando counties. Healthy Families Pasco-Hernando is a nationally accredited home visiting program for expectant parents and parents of newborns experiencing stressful life situations. The program improves childhood outcomes and increases family self-sufficiency by empowering parents through education and community support. Parents voluntarily participate in Healthy Families so they can learn how to recognize and respond to their babies’ changing developmental needs, use positive discipline techniques, cope with the day-to-day stress of parenting in healthy ways, and set and achieve short- and long-term goals. Healthy Families is a free, voluntary program that provides families with useful information on parenting and child development. Are expecting a baby or have a baby less than 3 months old. Are currently experiencing stressful life situations and could benefit from home visiting services. Services can last for up to five years depending on the needs of the family. We further and support a happy and loving environment. What Does Home Visiting Services Accomplish? Being a parent is a very important and many times a very difficult job. We want families to have the support they need to reach their goals and build a bright future for their children. 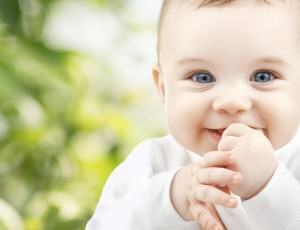 Our home visiting services are planned instructions and consulting that is proven to be effective in helping families. Our home visitors, called Resource Moms, are highly trained and qualified to deliver the needed one-on-one education and support. Being a parent is a big job. We can help. When to Refer Someone to Healthy Families? Healthy Families accepts referrals of families living in Pasco or Hernando counties that are expecting a baby or already have a child under 3 months old. The primary source of referrals for Healthy Families is through screens completed during prenatal visits. Families are also referred by local hospitals, partnering community-based agencies and self-referrals. Families who have an open child protection case at the time of assessment are not eligible for Healthy Families. What Happens After We Receive a Request? Our Family Assessment Worker will set up an appointment with the family. The purpose is to learn more about their life stressors that would make them eligible for home visiting services from our Healthy Families Program. The analysis of the interview and our in-depth discussion about their history and current situation will determine if the family is eligible. If they are not eligible for the program, we will refer them to other appropriate resources in the community. If they are eligible and agree to participate in our program, we will begin providing home visiting services right away. Parent groups are offered regularly giving families the opportunity to enhance their support network by exchanging ideas and personal experiences that they’ve encountered. 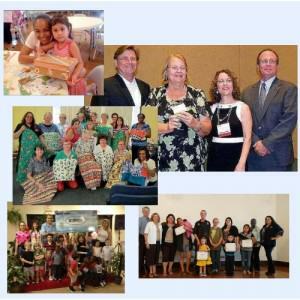 Healthy Families partners with the Florida Circle of Parents which is a statewide network of mutual-self-help parent support groups. Mutual support and self-help programs promote positive parenting in communities by providing social support, reducing isolation and building the self-esteem of parents. A children’s program is available for the parents that attend the group meetings. Activities for children promote self-esteem and positive skill building of children. Groups are open to the public and can be viewed on the calendar tab. Our organization is grateful for the many community supporters who sponsor and donate to our monthly groups. For more information, contact Becky Bennett at bbennett@pascokidsfirst.org or 727-967-7509. 98% of mothers do not have a subsequent pregnancy within two years of the target child’s birth. Mothers with less frequent pregnancies have fewer pregnancy-related complications and are less likely to give birth to low-birth-weight and premature babies. 100% of participants and their children are connected to a primary health care provider, which reduces the use of costly emergency room visits and increases the consistency of care received by the mother and child. 100% of children in Healthy Families Florida are fully immunized by age two, exceeding the state and national averages of 81% and 71% respectively. This is especially significant given that Healthy Families Florida serves high-risk families and the state and national rates include the general population. 96% of children received age-appropriate developmental screening at prescribed intervals. Early detection of developmental delays allows for early treatment and reduces the likelihood that more serious and costly problems will develop. 95% of participants were screened for postnatal depression, a research-based risk factor correlated with child abuse and neglect. 88% of participants improve their self-sufficiency by getting their GED or a college degree, enrolling in job skill development training, getting a job, finding more stable housing, learning English as a second language, attending literacy classes or obtaining a driver’s license. 80% of program completers who were unemployed at enrollment gained employment while receiving Healthy Families services.